E-Mail Marketing and Newsletter or Multi-Channel Customer Dialog - user-friendly, powerful and cost effective. Leading software for modern dialog marketing, efficient campaign management, and secure e-mail and newsletter delivery. 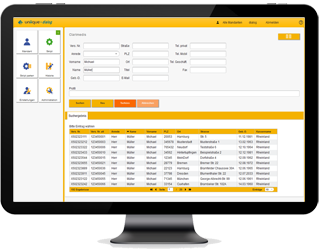 Easy to handle, target-oriented selection of target contacts with all information related to contacts, activities, buying history, etc. as well as support of all communication channels for dialog marketing. Easy integration of existing data and interaction with existing systems. An integrated contact history incorporates the different reactions of contacts thus enabling a real 360° dialog marketing and successful campaigns. Whether a monthly newsletter or 6000 multi-channel campaigns per year – uniique-campaign is successfully used by companies and organizations of all sizes. An unique innovation of Uniique AG for the automation of marketing and business processes as well as information processing. Uniique-nexus connects online applications with other distributed applications in real-time. 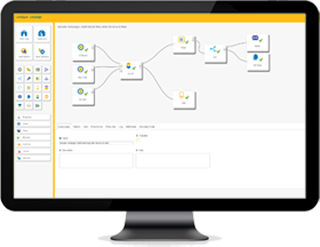 The integrated workflow management system as well as rule editors support the modeling of individual processes used for real-time dialogs, personalized online offers, or the exchange of information between distributed applications. Uniique-nexus can be installed distributed across different servers and can execute tasks decentrally. In this way, requirements of business processes can be mapped across applications rather than only being integrated into dialog marketing. Requirements from the Internet of Things like connecting online-applications and home appliances, can already now be realized with unique-nexus. Flexible registration processes, preference management of contacts, as well as trigger and campaign management in real-time are typical use cases in dialog marketing. Uniique-campaign uses unique-nexus for online processes and real-time campaigns. Powerful software for managing personal dialogs. Personal contacts are part of companies’ 360° communication. Uniique-dialog supports communication through workflow processes in order to meet individual requirements of business processes in sales and service organizations. Uniique-dialog convinces with high user acceptance, performance and availability. Uniique-dialog is operated in large service centers with several hundred users in parallel. Uniique-dialog is a perfect complement for uniique-campaign users because information resulting from customer dialogs can be included directly into dialog marketing processes. Follow-up communication, like confirmations and reminders, resulting from personal dialogs can be directly executed through various communications channels of uniique-campaign.